The right tool for the job - at the right price. 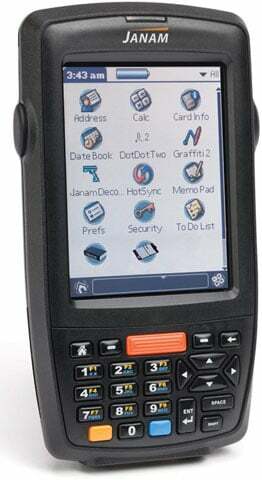 If you have thought about extending the reach and capability of your mobile Palm OS applications, the Janam XP30 Series handheld computer has the horsepower to execute mission-critical, data collection tasks on-site or in the field. A brilliant, color, quarter-VGA display and blazing Freescale architecture make the XP30 Series handheld computer a best-of-breed, rugged, barcode-scanning, mobile computer, while its list price makes it impossible to ignore. The Janam XP30N-0PCLYC00 is also known as Janam Technologies LLC	XP30N-0PCLYC00	or XP30N0PCLYC00	.